See how to read KML data (including documents, folders, timestamps, cameras, and network links) and convert it to MapInfo. FME is able to read KML datasets, including all of the spatial components, as well as items such as document properties, folders and timestamp attributes. 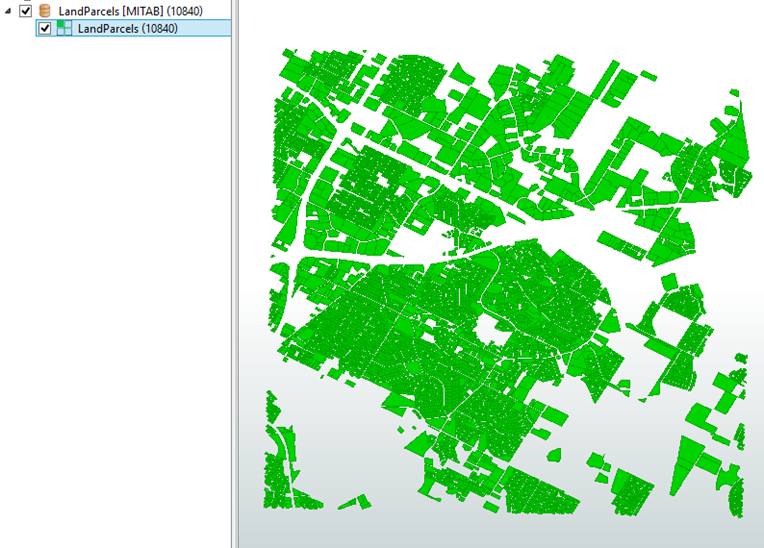 FME can also convert KML datasets into a variety of output formats. The following simple translation of KML to MapInfo TAB can be applied to a number of formats other than MapInfo TAB. Source KML file, "Properties.kml", is read using the Google KML reader, and the LandParcels feature type selected. 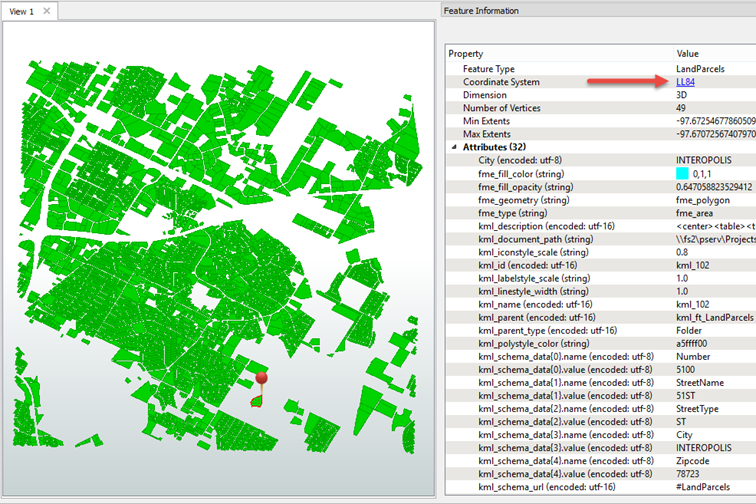 By inspecting "Properties.kml" with the Data Inspector, it is possible to view many attributes, including coordinate system information, in this case LL84. KML only supports the WGS84 datum, and the FME equivalent coordinate systems are LL84 and EPSG:4326. The workspace transforms KML data into MapInfo TAB, preserving all of the User Attributes. This translation method can be applied to other formats, when it is desirable to preserve all of the Reader attributes. MapInfo TAB data is output, which can be viewed in the Data Inspector.